The newly renovated Yokohama Creativecity Center (YCC) opened in the former Dai-ichi Bank building as Yokohama's new creative hub. 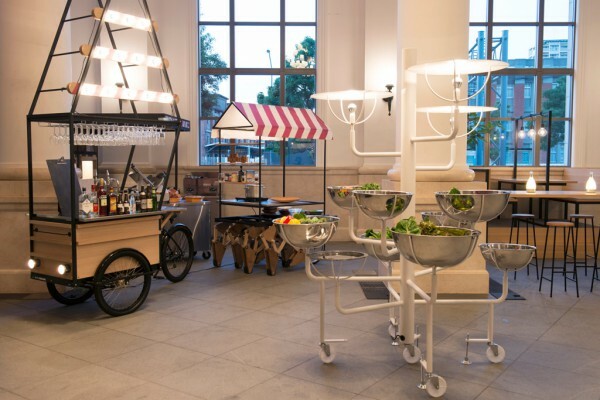 We designed a salad cart for a café/gallery located inside the YCC, where citizens can gather freely and partake in food, drinks and various art work exhibitions and events. The Café Omnibus located on the first floor showcases different food carts designed by a group of five creators, thus evoking a cheerful market place. Each can be moved during events when the layout needs to be changed and are expected to function as kiosks during future outdoor events. Interestingly, the design of our self-serve salad bar is modeled after a tree to guarantee easy access to the salad from all sides. 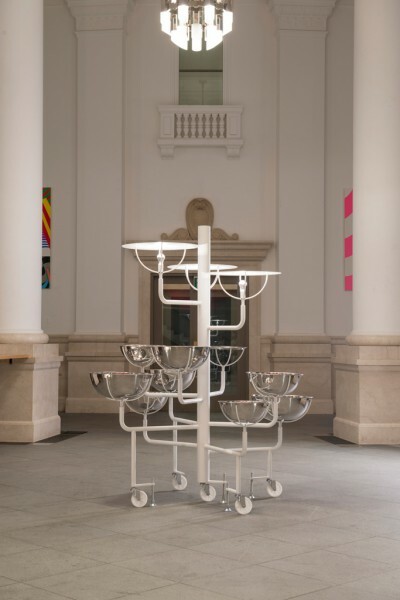 The trunk from which extend the branches holding the salad bowls create a figure that contributes to the café's visual identity.